It has a 7cm, non-locking blade which is made from top quality 420 Stainless Steel. It has a full flat grind with the blade thickness at the spine approx 2mm. As the stainless steel blade is under 3" it makes it an ideal knife that is legal to carry in your pocket at all times with justifiable cause when you are in the UK. It has a Spanish Olive wood handle so each knife is unique with the patterns and level of grain in the wood. 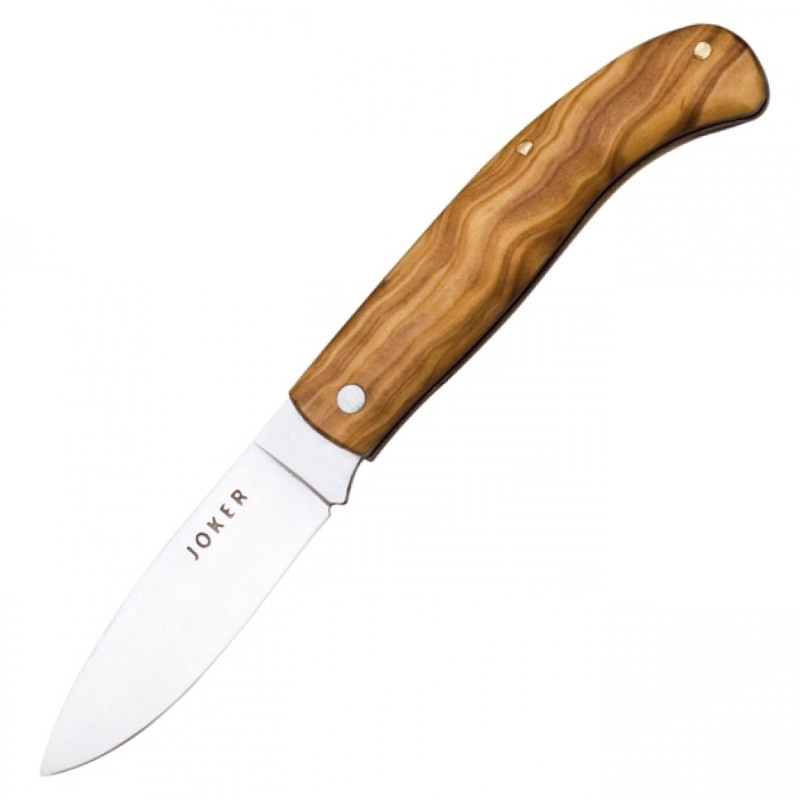 "This is a wonderful little UK legal folding knife, handy to pop in your pocket for those times when a blade is needed and you have not got your sheath knife. I looked for years to find a knife like this and now it is my constant companion. A good balance between cost and design functionality"
Advantages: 7cm blade making it UK legal. Has a stainless steel blade therefore holds its edge a lot longer than a carbon steel blade. Disadvantages: Stainless steel blades are harder to sharpen than carbon steel blades.